All prices per person unless indicated. Non refundable unless indicated. Parking in the main auto lots is free. “All-in” camping costs have actually been lowered for campers with 2 adults or more, on top of any additional early bird discount! With early discounts before April 15, 2 adults for 3 nights is only $18 per person per day! 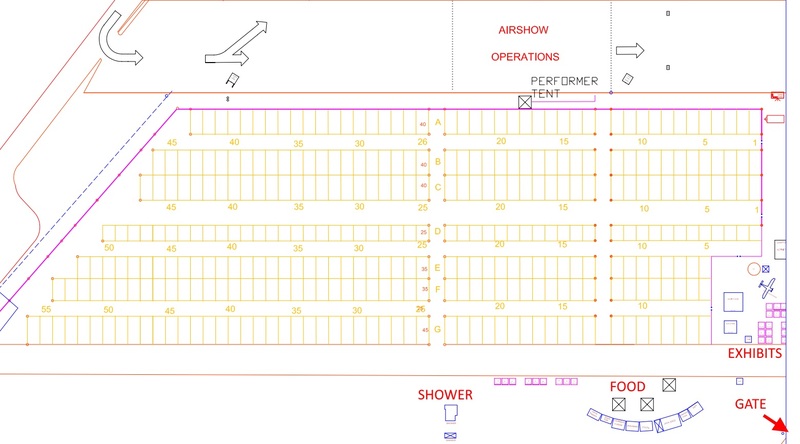 Above is the general camping layout. 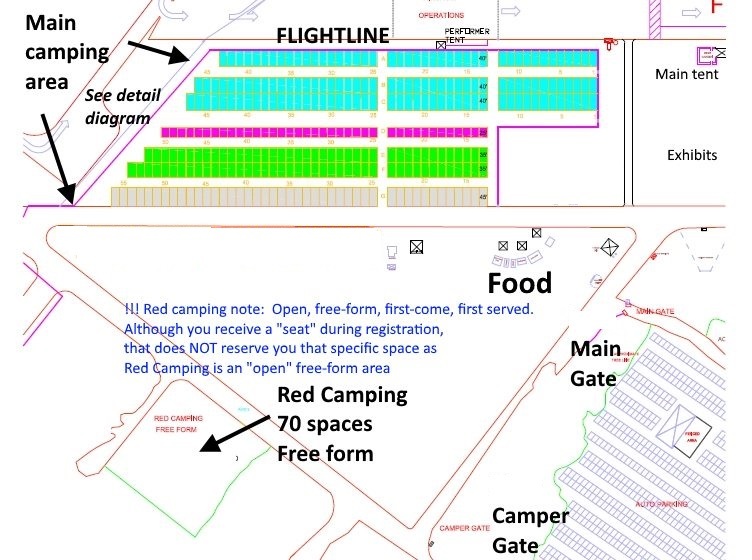 Click here to consult the detailed diagram of the main camping area to find the space you wish to reserve. Purchase your “all-in” camping package based on your arrival date. Bring your tickets with you and enter at the camper gate. ** If you want purchase multiple camping spaces for a group, that’s awesome! Please reserve what you need. We will allow different arrival times for each space reserved. We will make adjustments to assure each vehicle arrival is treated per the new “all-in” rules so that everyone that arrives for each space you purchase is included. The first vehicle to arrive will need to coordinate this with the camper gate.